You are invited to join us in reading and meeting to discuss our next UX Book Club book: “Orchestrating Experiences – Collaborative Design for Complexity”. This brand new book by Chris Risdon and Patrick Quattlebaum is a practical guide for designers and everyone struggling to create products and services in complex environments. Customer experiences are increasingly complicated — with multiple channels, touchpoints, contexts, and moving parts — all delivered by fragmented organizations. How can you bring your ideas to life in the face of such complexity? You can buy the book here with 30% off – just use the code uxmelbourne18july30 when checking out. Yes, our discussions will be about the book and the topics and ideas that it includes. So we ask that you come to book club having read some or all of the book and be ready to discuss its topics and ideas. Would you like to give a brief summary of the book at the start of book club? Contact us before June 30th if you’re interested! Anyone is welcome to join our walking bus to and from the venue. A walking bus will be departing at 6pm from Holliva directly opposite Richmond Station. Look out for one of the UX Melbourne event hosts who will be holding a sign. A return walking bus will be departing MYOB at 8.30pm for the 10-minute walk back to Richmond Station. 6.35 – We break into groups for conversation about the book guided by some suggested topics and talking points. 7.15 – We share our group’s discussions and ideas with the full group and continue to discuss the book amongst the whole group. 8.00 – The book club concludes but everyone is welcome to stay and continue the UX discussions! Thank you to UX Mastery (https://uxmastery.com) for again sponsoring UX Book Club and another big thank you to MYOB (https://www.myob.com/au) for providing a fantastic venue for our book club – at their brilliant Innovation Hub. “Buying groceries, tracking our health, finding a date: whatever we want to do, odds are that we can now do it online. But few of us ask why all these digital products are designed the way they are. It’s time we change that. How do you apply artificial intelligence to design useful and valuable products and services? Our next book, by Christopher Noessel, provides both a conceptual grounding and practical advice to unlock agentive technology’s massive potential. Advances in narrow artificial intelligence make possible agentive systems that do things directly for their users (like, say, an automatic pet feeder). They deliver on the promise of user-centered design, but present fresh challenges in understanding their unique promises and pitfalls. You can buy the book here with 30% off – just use the code melbournebc18ma30 when checking out. Would you like to give a brief summary of the book at the start of book club? Contact us before March 19th if you’re interested! We’re excited to be part of the UX Mega Meetup on Friday 24th November. Come and join us and members of other fantastic Melbourne UX groups to celebrate the end of the year! Whether you’ve been busy getting into the industry, honing your skills, or grinding away at those stakeholders we’re inviting you to come share a drink and a story with your colleagues to celebrate and reflect on the year that’s been and the year ahead. Thank you REA Group for hosting this years Mega Meetup at their wonderful HQ as well as putting on food and drinks! The UX Mega Meetup has a Code of Conduct that all organisers, sponsors and guest must adhere to. Please take the time to read our Code of Conduct so everyone can enjoy a harassment free event experience. 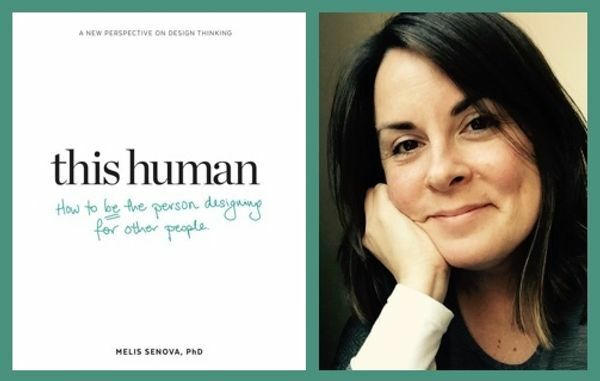 We’re excited to announce that the author of our next book, Melis Senova, will be joining us in person at UX Book Club. We’ll be discussing her new book – This Human: How to be the Person Designing for Other People. There are many great books about the design process, tools and methods. One missing aspect, almost in an ironic twist, is what it takes to be the person who is actually doing the designing. This Human is about that person. The person who needs to observe to gain insight, to make sense of their observations in a way that isn’t biased by their own world views. The person who needs to communicate in many different ways with many different intentions to communicate information which is often hard to access, difficult to grasp and just not that tangible. The person who is so passionate about having a positive impact they become exhausted one third of the way into their project. This book helps these people to learn more about themselves and how to think and be in their practice—to grasp all that is going on inside that then influences their creations. I’m in! How do I RSVP? To join, simply RSVP here and come along on the night with your book, questions, thoughts and opinions! If you can’t make it, please reverse your RSVP early so there is room for someone else. 6.30 – Melis will talk to us about some of the book’s themes and topics. 6.45 – We break into groups for conversation about the book guided by some topics and talking points suggested by Melis. 7.30 – We share our group’s discussions and ideas with the full group and continue to discuss the book amongst the whole group. Thank you to UX Mastery for again sponsoring UX Book Club and another big thank you to MYOB for providing a fantastic venue for our book club – at their brilliant Innovation Hub.